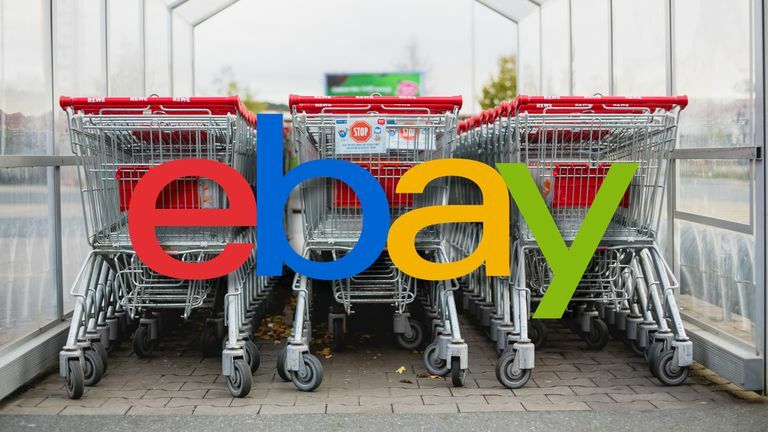 eBay is an absolute giant when it comes to buying and selling online. Full-fledged retail options and average Joes alike can start selling on eBay within minutes. You don't need any special equipment, and you certainly don't need to know anything technical. While you can sell from the eBay mobile app, it's best to get a hang of things on the desktop first, with the complete set of controls. When you get more accustomed to selling, the app is a great way to list quickly. Open your web browser and go to eBay. When you arrive, select My eBay in the upper right to sign in. eBay will direct you to its sign in page. Enter your account information to continue. After you sign in, you'll be sent to your My eBay page. Select Sell in the top right of your screen to start your listing. The first page you'll see is a search. eBay has a huge product database packed with information that can help to fill in your listing. If your item is in the database, the selling process can be much quicker. As the default text suggests, you can enter a UPC (bar code), ISBN (for books), or other identifying number in the search. These are usually the most direct way to find your item. If it doesn't have such a number, you can always type in a clear and concise description, and eBay will attempt to pick out a match. As you type in your search, eBay will provide possible categories for your item. They'll be listed right under the description that you're entering. Take a look, and see if any seem to match what you're selling. In case you do find a good match, select it. Doing so will jump you ahead into a listing form. In case you didn't see your category pop up, or you just hit Enter anyway, you'll find yourself on a page with possible product matches. Look through to see if one is identical to your item. The information provided next to the image will populate your listing and give you a good jumping off point. Don't worry if something is a little off. You can change it in the next step. If you didn't find a good match, keep scrolling to the bottom of the page and select Continue without selecting a product. You'll arrive on your actual listing form. Make sure your title is correct, as it may have been changed in the search process. This is what people will see when they're searching. It's also the words eBays search will use to match people with your item. eBay actually has two forms: a quick listing tool and the advanced one pictured above. It's a good idea to switch to the advanced one via the link in the upper right corner of the page, as it provides additional options that can help your item be found. You'll notice the subtitle with a price next to it. eBay has some listing options with a price attached. You don't need to use these, but they may make sense in some cases. Make sure your item is in the right category. If is isn't, select Change category to find a better fit. eBay has a ton of possible categories, so you might want to take your time and have a look through. You can also add a second category for a fee. It's usually not necessary, but it can help your item show up in more searches. Add an ISBN or UPC, if applicable to your item. Describe the condition of your item. Usually, eBay has several levels of quality for used items, while new items don't require a description. Try to be as accurate as possible here. Buyers really don't like feeling cheated or like the didn't get what they paid for. Everyone will be much happier in the long run if you're upfront about everything. Take pictures of every aspect of your item potential buyers will be interested in, includes any cool features, as well as imperfections. You can have up to twelve pictures, so don't be afraid to cover as much as possible. Make sure you have your item in a well lit room. The flash can sometimes interfere or distort the image, so it's best to turn it off and use the light of the room. When you've taken all of your photos, upload them to your computer. You can even use a service like Dropbox. Back on your listing, remove any stock photos already in the section. Then, select Add photos to browse to your new item pictures. Select and upload your photos to eBay. When you have them loaded, you can click and drag to rearrange their order. It's a good idea to have a nice complete shot of the item as the first image, since that's the one that'll appear in searches. The next section of your listing covers the item specifics. These are going to be different for every listing because they're based on your item's category. You don't need to fill in every field here. The idea is to provide as many searchable details as possible while informing your buyers as much as possible. The example here is for a book, so there are fields for Author, Publisher, Subject, Language, and Year Printed. Other categories may have more or fewer options, and they'll certainly cover different information. The item's description comes next, which you can think of as your sales pitch. Write a clear description covering exactly what the item is and any damage or imperfections. This is also the time to embellish a bit and hype up your item to sound appealing, but don't lie about it. Now it's time to set your price. eBay offers two selling options. You can follow the more traditional auction route, or you can set the item up at a fixed "Buy It Now" price and wait for a buyer. Before you go any further, do a bit of research. Do a search on eBay to see what similar items are going for. eBay even has a feature to look up only sold listings. Try to get a good idea of the market, and come back to your listing. PayPal is the default payment method for both types of listings, and it's easily the best way to be paid on eBay. Don't worry about sales tax. That's only for professional stores. Determine the length of your listing. Generally, it's a good idea to leave fixed price items up longer, so select 30 days or Good 'Til Canceled, which are the more common choices. Set a price for your item, then check the box to allow buyers to make offers. This can be a great way to get your item sold fast. You can also set eBay to automatically accept or decline offers above and below a certain point. Otherwise, you'll get an email letting you know you have an offer, and you can choose how to handle it. You can choose to include many of the fixed listing features. These will deactivate as soon as someone bids, but it gives you an opportunity to sell the item right away. The standard length for an auction is 7 days, though you can adjust that as needed. Try to set a starting price low enough to encourage bids, but not so low there's no hope of reaching your selling goal. If you're really worried about the item going too low, you can always set a reserve price as the minimum you'd take. However, it does come with a listing fee, and it may discourage bidders. Now comes shipping. If you're unsure of what shipping costs should be, select Calculate Shipping to open a calculator in a new window. The calculator will show you a table of prices based on different shipping options. Use it to figure out a reasonable shipping service. Free shipping is always an option to entice buyers, and there are plenty of sellers that roll shipping costs into the price of their items to use free shipping as a marketing tactic. Other flat rate shipping solutions should be reserved for promotional purposes or when you're using a service like the flat rate boxes from the USPS. Handling time refers to the amount of time between the end of your listing and when you ship. eBay tends to reward a 1 business day handling time, but two days can be alright too. You can also choose to ship internationally with eBay's Global Shipping Program. You won't need to handle customs or inflated international costs. Just check the box, and eBay will give you an address in the US to ship to. They'll handle getting the item to your buyer. Choose a city far from you to get example rates. Since you don't know who will buy your item, it's always best to see the worst case scenario. Choose your package weight and dimensions. Most of the time, you won't have your item packed yet, so these are going to be an estimate. This estimate is what eBay will use to calculate the shipping cost for your buyer; if you get this really wrong, you're going to lose money. Try to be accurate, and when possible, bump up your estimates a bit to account for the many, things that can go wrong in purchasing shipping supplies. Remember, boxes aren't tailor made for your item, and shipping supplies aren't cheap. At the bottom of the page, select Preview to see an accurate preview of exactly what your item listing will look like. If everything looks correct, select List item to take your listing live. If you want to finish the listing another time, select Save as draft. Congratulations! Your eBay listing is live and potential buyers can start viewing it right away. You can now manage the listing and view bids, page views, and watchers from your My eBay dashboard. Select My eBay in the top right corner of the page, then select Selling > Active on the left side of the dashboard to see all of your active listings. Each entry shows you vital information about the item listing, including stats on how many views, watchers, and bids your item has, provided it's up for auction. Use this information to determine how your listing is performing and if it will sell. Sit back, relax, and wait for your item to sell! Be sure to respond promptly to any questions you receive from potential buyers, and always be courteous. When your item does sell, select the Sold tab in My eBay to locate your item. The item's listing on will give you the option to print a shipping label, once you've been paid. Then, box up your item with the label attached, and ship!